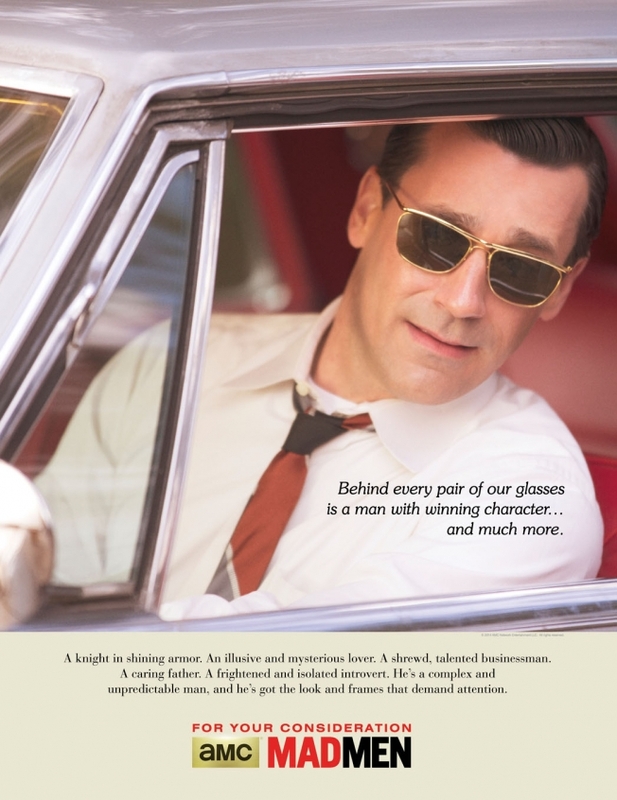 AMC serves up a fun Emmy Awards campaign for Mad Men, casting its stars in print work that has the look and feel of classy period advertising from the Sterling Cooper era. Mad Men creator Matthew Weiner and The Martin Agency helped craft the well-realized ads, which capture the flavor of the show with a credible '60s vibe, and mark the first "For Your Consideration" effort the series has ever done. "In the past, we’ve campaigned for Mad Men by letting the show sell itself," says AMC marketing chief Linda Schupack. "This year, we wanted to be a little more fun and playful." My favorite is the ad with John Slattery as a dapper Roger Sterling, attired by "The Madison Avenue Collection." This might be the most period-conscious execution of the lot, with dead-on detail and art direction. (Is that pristine airport ashtray Sterling silver? No butts about it!) His smoldering stare, directed at the fishnet-stockinged legs of a woman nearby, speaks volumes, while the copy is pure '60s: "You move through life with ease, and sometimes people take your quick mind, sharp wit and wry sense of humor for granted. But those who know, know—you always give your best." Named outstanding drama series in each of its first four seasons (in addition to numerous other awards), the show hasn't won an Emmy over the past two seasons, and some critics say its poignant pathos has slid into sappy soap opera shenanigans. Well, even if Season 7 isn't vintage Mad Men, its Emmy campaign sure is. See all the ads below. Via THR.